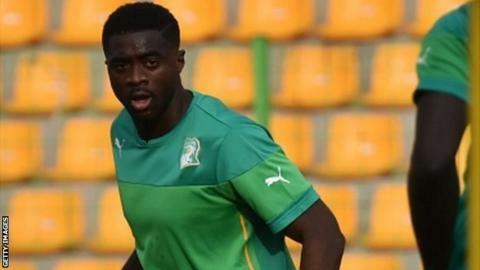 Ivory Coast defender Kolo Toure has urged fans to be patient while Ebola screening is carried out before Africa Cup of Nations games. Supporters and police clashed before a number of games after delays because of Ebola tests outside the grounds. "I think the fans need to know that they have to be checked, definitely," the Liverpool player told BBC Sport. "Ebola exists and sometimes people - when they don't have people around them who have it - don't believe in it." He continued: "But I think people need to know that Ebola is there and we all need to make sure that this disease doesn't increase. "It's very important that people just think you can get it in the stadium, because one guy [could have] it and that's why I think it's very important to be checked. "It's the most important [thing], more important than the game because nothing is more important than life." World Health Organisation (WHO) workers, who are carrying out the Ebola screening, are meeting on Thursday to discuss concerns over their safety after further crowd trouble at the finals in Equatorial Guinea. Bottles and stones were thrown by supporters who tried to get into the ground without tickets in Bata ahead of Group A games on Wednesday. Police responded by using smoke bombs, the BBC's Alex South reports. It follows more trouble at other venues in Malabo and Ebebiyin, where police used electroshock weapons, batons and cattle prods to deal with the disorder. The WHO workers are based outside the gates of the stadium carrying out the Ebola screening process, which involves taking fans' temperatures and giving supporters sanitising gel as they enter the grounds. They want assurances over their safety and indicated that if the violence continues to escalate they may not be able to continue in their role. The Confederation of African Football (Caf) said that it regarded the clashes as a "small issue", caused by fans arriving very close to kick off. "In that kind of rush, police have to do their work [and there are] security checks and medical control," a Caf spokesman said. "This small issue happens often at other major tournaments like the World Cup in Brazil." The Equatorial Guinea Football Federation president Andres Jorge Mbombio said earlier in the week that the Ebola risk at the Africa Cup of Nations was "under control". "When we decided to host the tournament, we increased the preventive measures, so that now we can say everything is under control," he said. "We feel proud and reassured, and only want to think of football." A WHO worker who was conducting Ebola screening at Tuesday's Group D games in Malabo told the BBC that there were isolated incidents of fighting between police and fans, with one involving up to 300 people. The WHO worker says she feared for her safety and had to come inside the gates to carry out the checks for Ebola. Equatorial Guinea are hosting the tournament after Morocco's request to postpone the event because of the possible spread of the disease was rejected by the Confederation of African Football (Caf) in November.